Designed for cyclocross, these brakes will give you the ultimate in stopping power. The CX8.4 features 84mm length arms designed to work seamlessly with SRAM and Campagnolo shifters. Not content to just stop better, the CX8.4's also feature an integrated barrel adjuster on the noodle to make those on-the-fly adjustments simple. 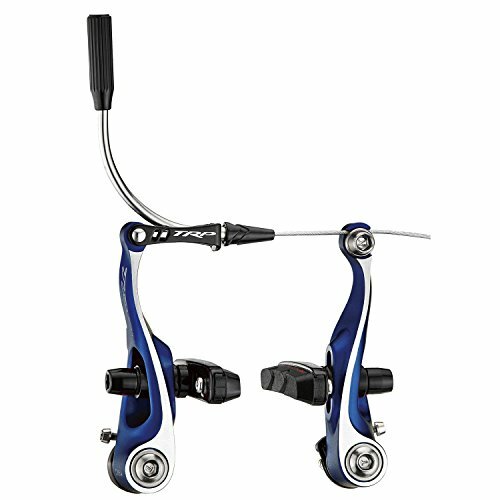 For newer Shimano levers, you'll want to choose venerable CX9. If you have any questions about this product by TRP, contact us by completing and submitting the form below. If you are looking for a specif part number, please include it with your message.